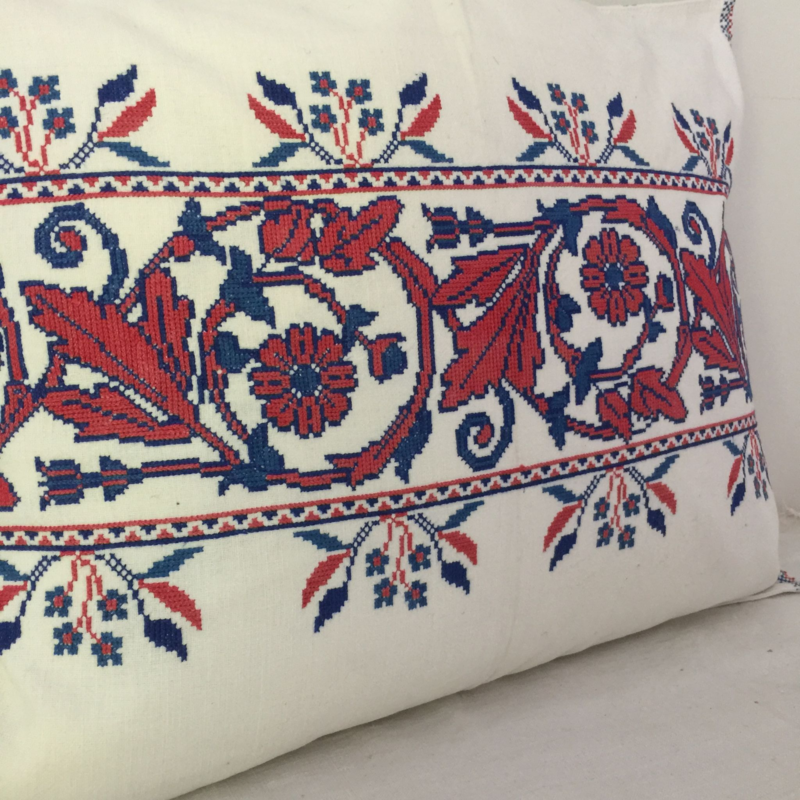 Red and blue, hand embroidered cross stitch on sturdy white cotton. This style of embroidery comes from a small number of villages in an area near the Maros river in Transylvania. Fine cross stitch on close weave cotton. This piece would have originally been a long decorative sack style pillow case, made for a dowry and to be displayed on the decorative bed in the "best" room, The embroidery would have been at the base of the pillow piled high on a textile laden bed. The body of the pillow was probably the ticking that has been used for the backing on this cover These "best rooms can still be seen in some parts of Transylvania today Each stitch require counting threads of the backing fabric. This piece would have taken weeks to embroider.